Your private disability pension won't affect your Social Security disability benefits. 1. Will My Under Age Child Receive Social Security Benefits Because I'm Disabled? 3. Is Disability Income Taxable in New Jersey? In 2011, 8 million disabled workers received Social Security disability benefits. 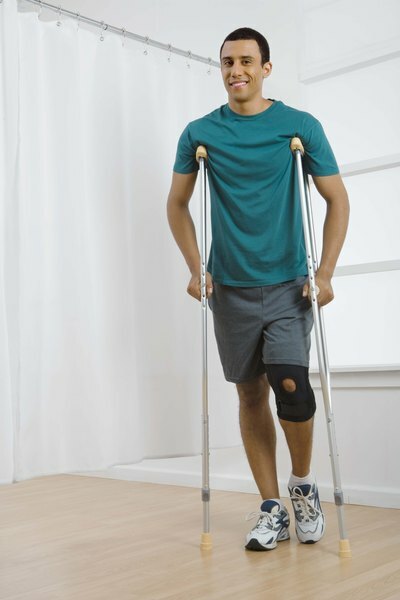 You may be entitled to other types of disability benefits, as well. If you purchased a disability plan through an insurance carrier or employer, those disability payments won’t affect your Social Security disability benefits. Certain types of public benefits reduce your Social Security payments, however. Workers’ compensation benefits reduce your disability benefits, according to the Social Security Administration. Other types of public benefits affecting your disability benefits include state temporary disability benefits, civil service disability benefits, and state and local government retirement benefits based on disability. The SSA limits the amount of your Social Security and public benefits to 80 percent of your pre-disability earnings. If your combined benefit total exceeds this limit, your Social Security benefits are reduced dollar for dollar. For example, if pre-disability earnings were $2,000 per month and the combined total of your disability benefits, including Social Security, is $1,800 per month, your Social Security benefits are reduced by $200. The reduction brings your combined monthly benefit amount to $1,600, which is 80 percent of your pre-disability earnings. Not all public benefits reduce your disability payments. Veterans Administration benefits as well as state and local government benefits that have Social Security taxes deducted won’t reduce your disability benefits. Supplemental Security Income benefits will not affect your disability benefits, either. Once you reach full retirement age, your disability benefits switch over to Social Security retirement benefits. Full retirement age is based on your year of birth. Your benefit amount remains the same; the only change is the benefit name for Social Security purposes. Workers’ compensation or public benefits you’re receiving won’t reduce your retirement benefits, however. If you’re getting Social Security survivors' benefits, disability income from private or public source won’t affect your payments. If you’re getting SSI benefits, you may see a reduction, however. The SSI program is different from other SSA programs such as survivors', retirement and disability because eligibility is not determined by your work history. SSI is a program for the low-income disabled and elderly. Eligibility is based on your assets and resources, including unearned income such as disability benefits. Disability income exceeding the program’s guidelines reduces your SSI benefits.